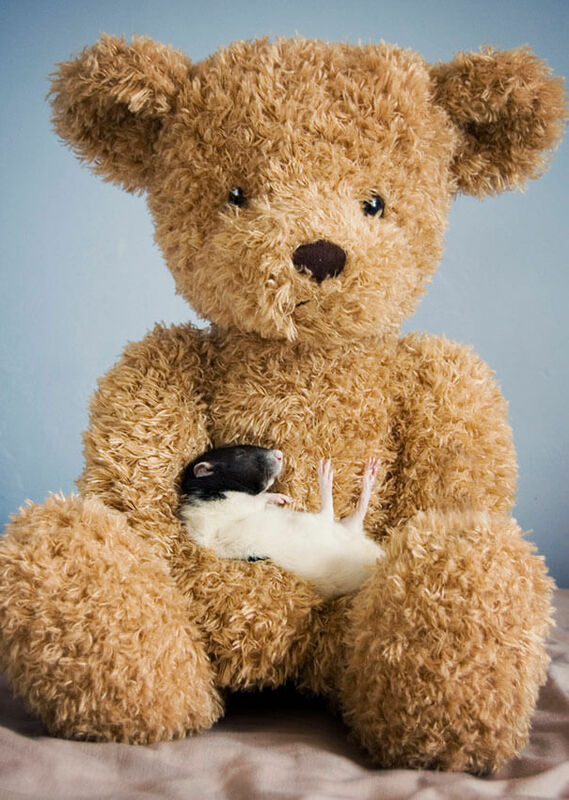 The photos that you’re about to see in the gallery below reminded me of one story from my childhood, back in the fourth grade of elementary school, few of us girls played some fun quiz which supposed to reveal characteristics of our personalities through several questions. 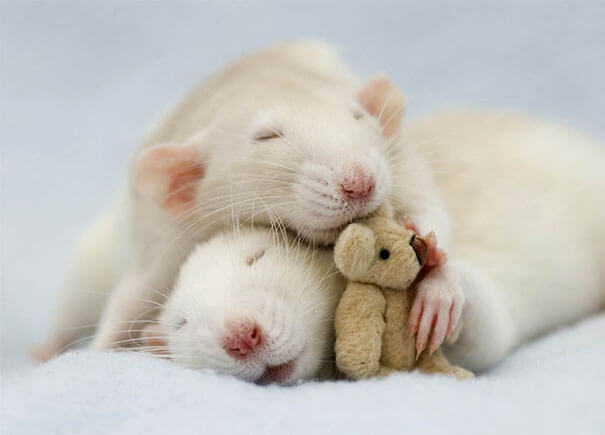 One of them was – What’s the first thought on your mind when someone says – a mouse? 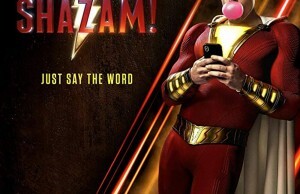 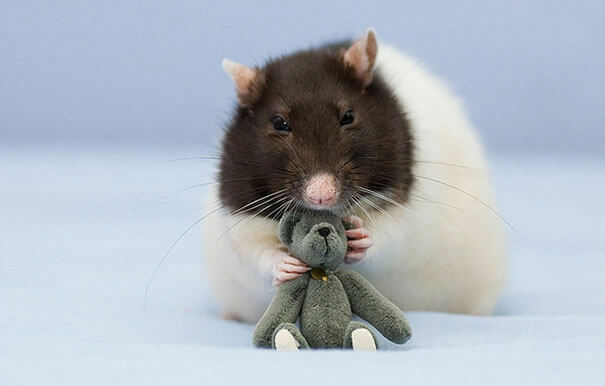 It was hilarious how girls from the city said in one voice – aw…cute!, while the girl from the country made a grimace expressing not so cute thoughts saying – pew…pest! 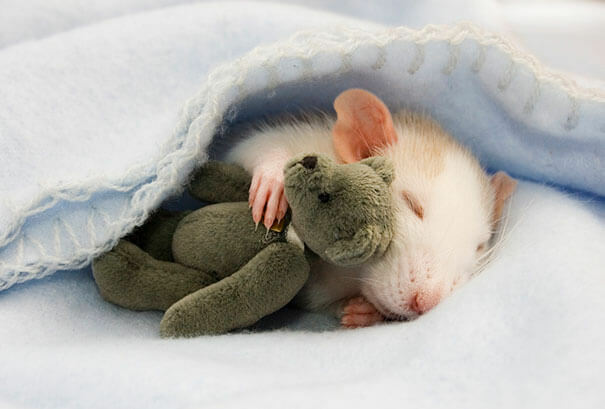 So, I guess this is the topic that city girls will appreciate, who actually never seen a mouse (or a rat in this case) before, except on the screen or in a pet store. 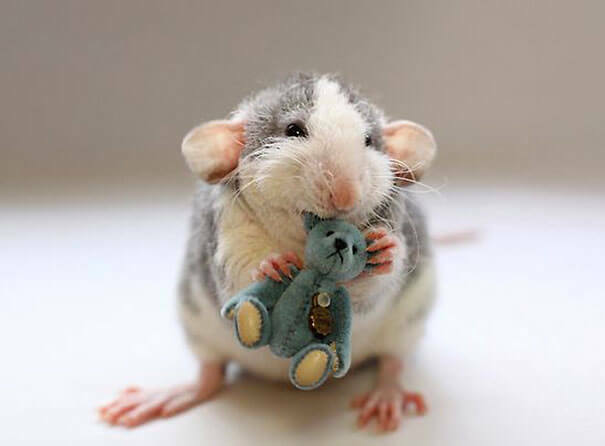 These photos will certainly not ruin the illusion because they are cute as a candy. 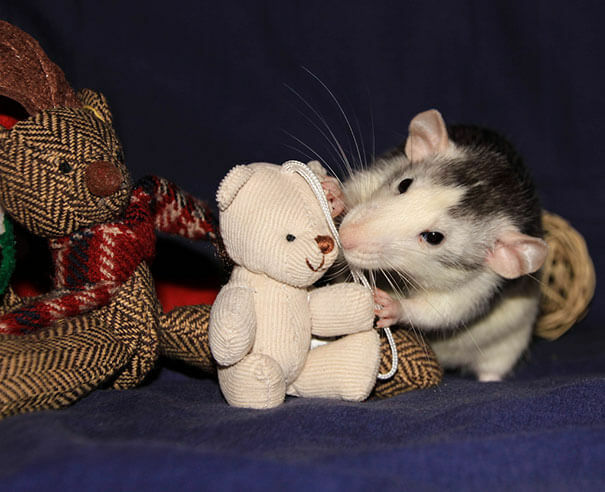 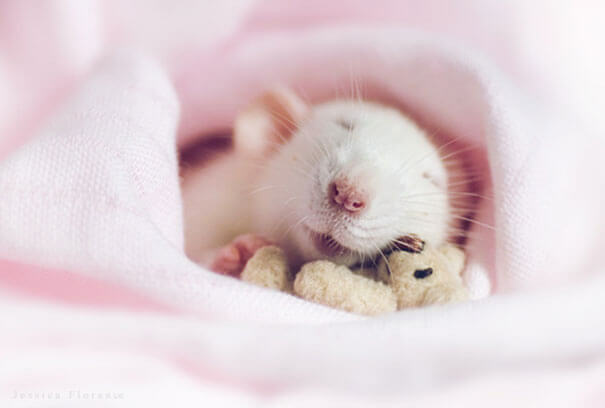 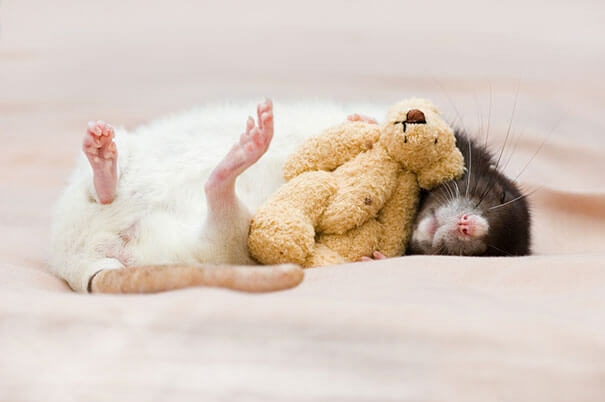 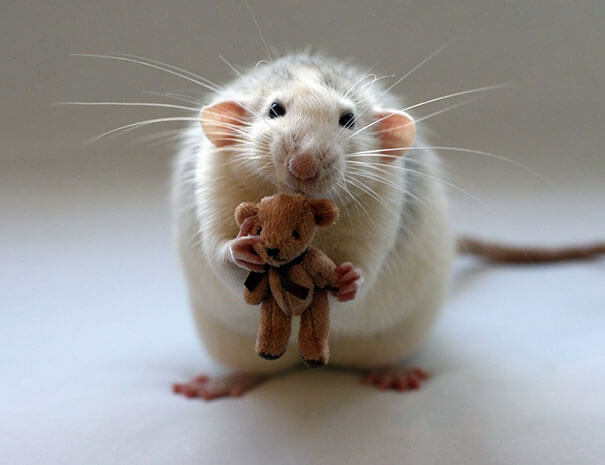 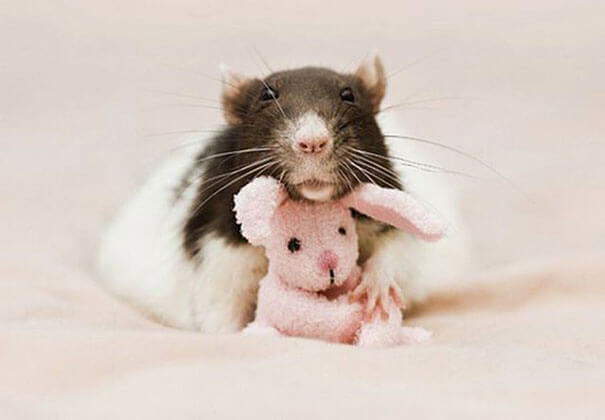 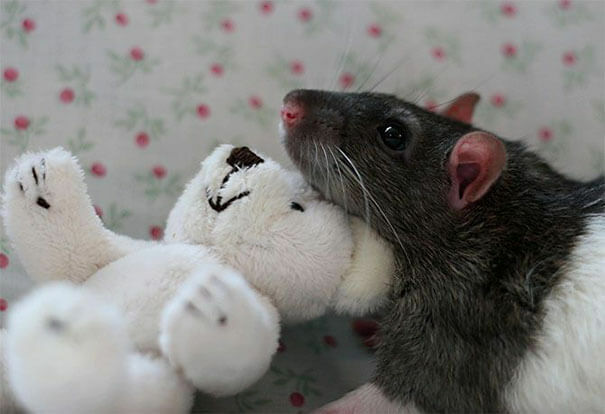 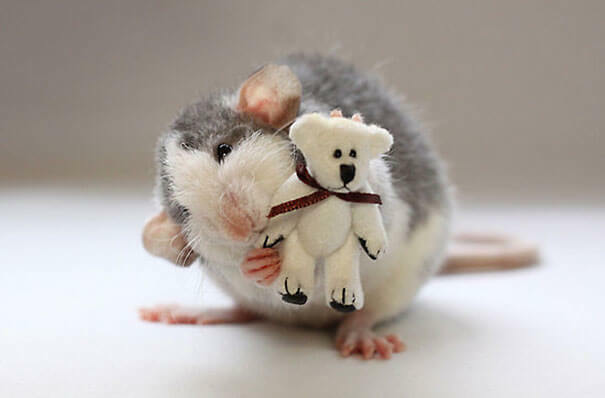 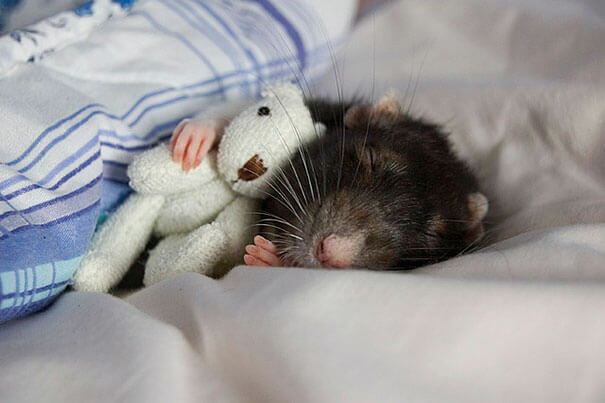 Jessica Florence and Ellen van Deelen are taking adorable pictures of their beloved pet rats posing with miniature teddy bears. 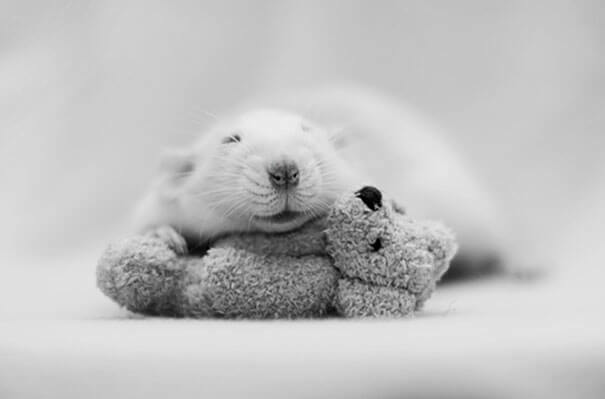 So, things cannot possibly get any cuter as you’re about to see in the photos. 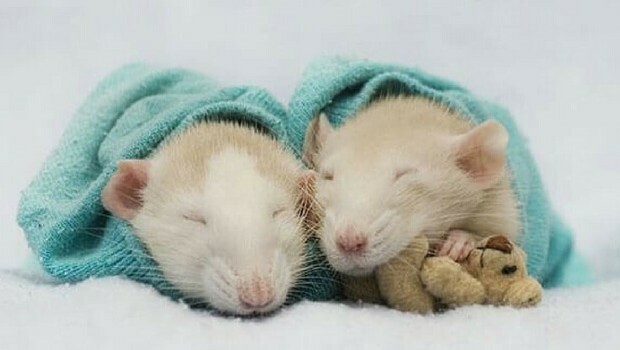 They both started taking photos of this kind back in 2008 and pretty soon they went viral. 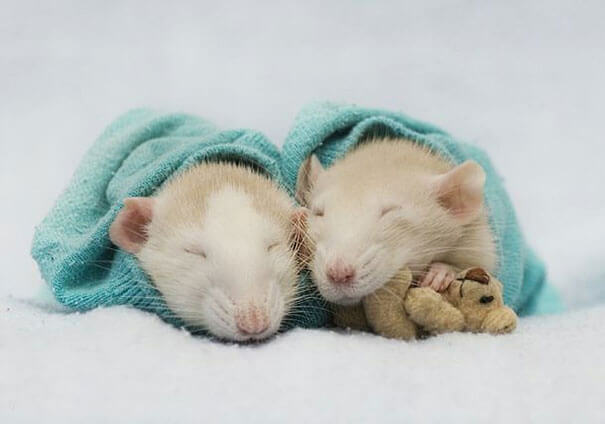 Jessica Florence’s pet rats featuring in the photos are Bug, Duck and Worm. 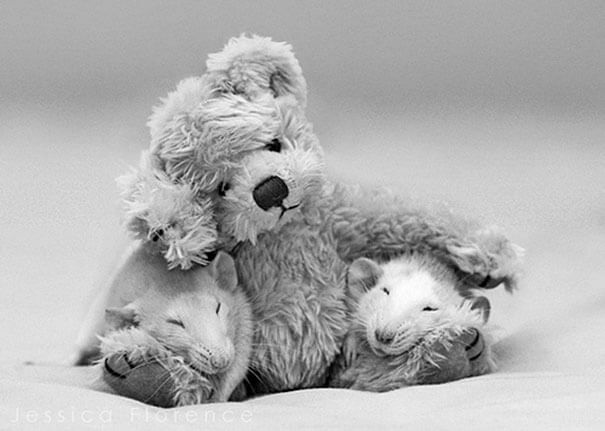 Ellen van Deelen little buddies are called Moppy, Witje and Rosie. 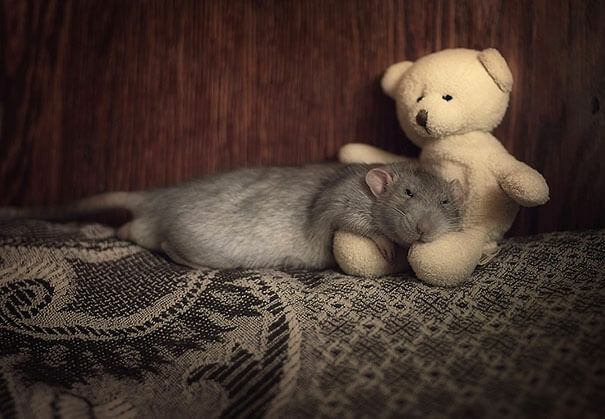 Interestingly, Ms Florence is from Great Britain and Ellen van Deelen is a Netherlands-based photographer, and probably they don’t know each other, but they are taking the same kind of photos and they started to do that at the same time. 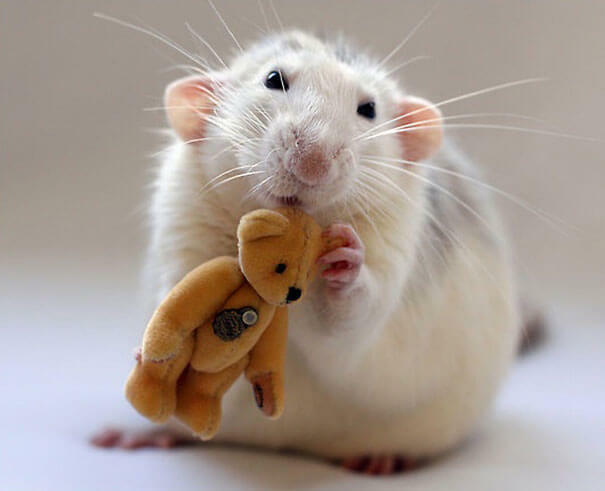 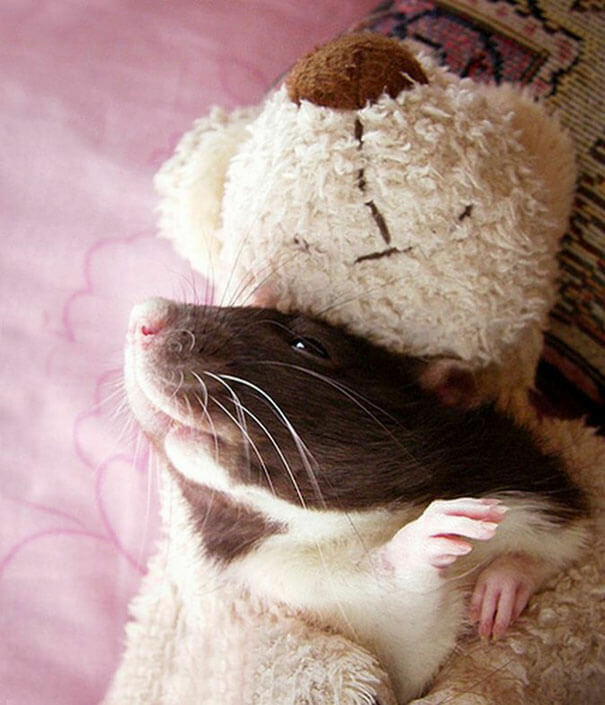 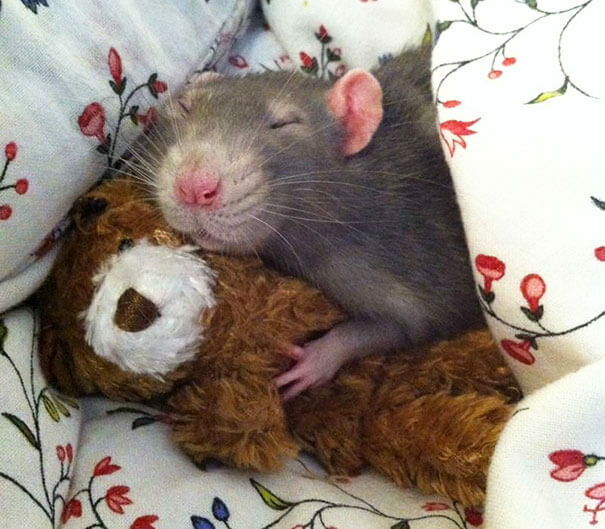 These two ladies inspired many other people to start taking adorable photos of their pet rats with plushies, so we hope this article will help that phenomenon continues. 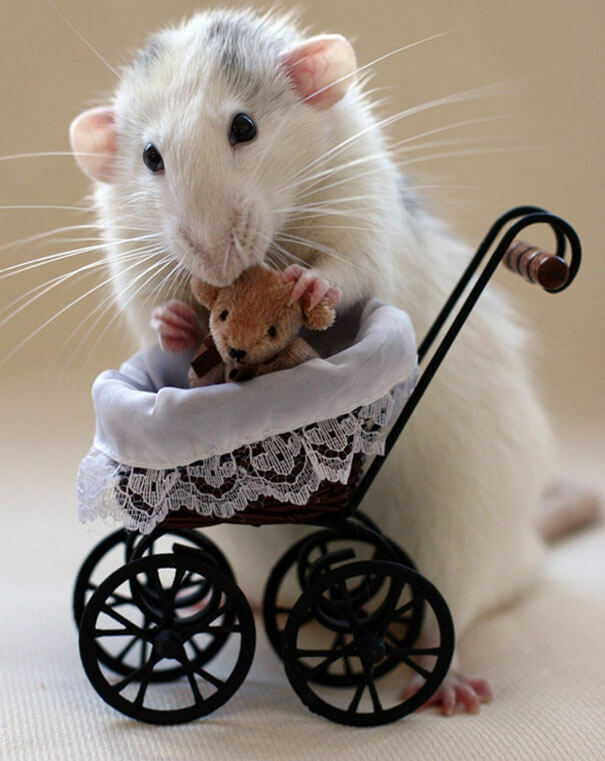 Take your time to enjoy one of the cutest galleries at the Awesome Daily, where we adore everything awesomely cute.